Shows like a model. 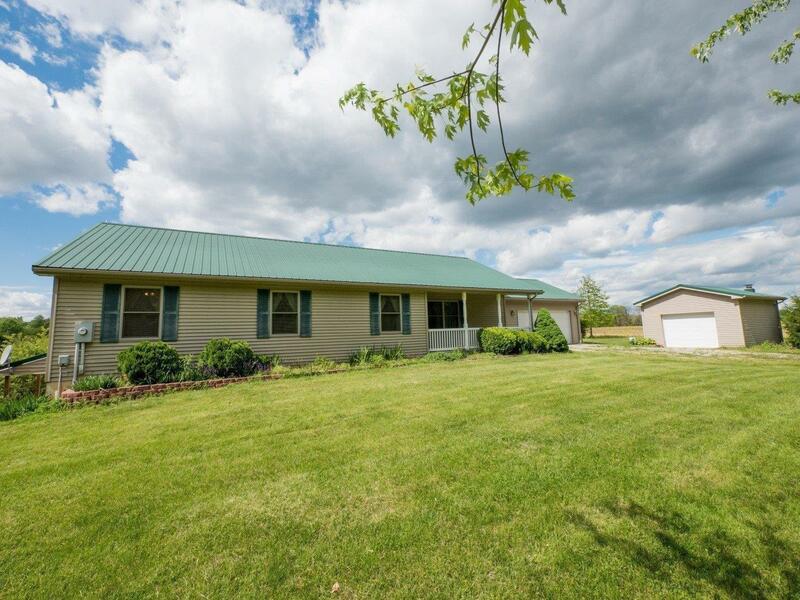 Beautiful 3 bed 2 full bath home on 8 acres. Full unfinished lower level with walkout. Large eat-in kitchen w/counter bar and walkout to Trek deck. Spacious living room. Large bedrooms. 2 car att'd oversized garage. 1 car detached garage with chimney for a stove. GREAT family home! NOTE: This property was sold on 11/27/2017 and is no longer available. The details listed below are believed accurate to the date of the sale and are subject to change.